Why are luxury dorms better for University of Florida students? Meet other University of Florida freshmen who are going through the same transition as you, from high school to college. 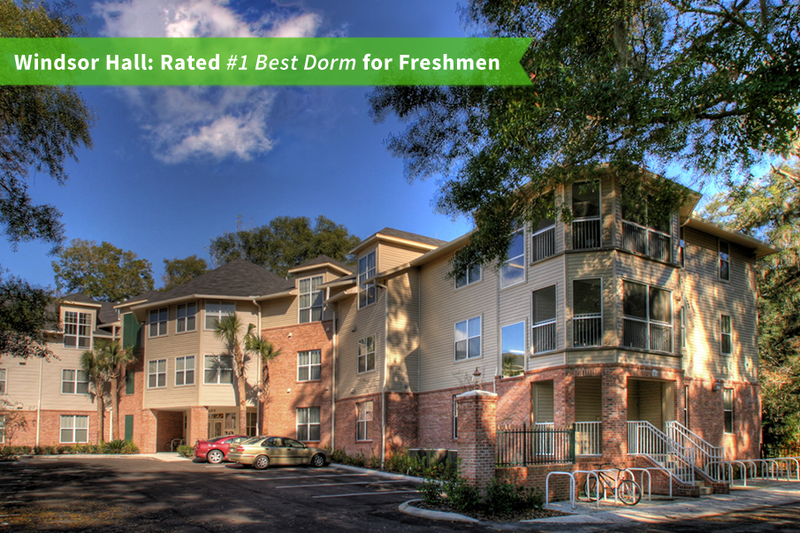 Luxury residence halls are closer than many traditional dorms to your University of Florida classes, Sorority Row, and dining halls. National studies show that students living in residence halls have higher GPAs, more campus involvement, and have a stronger sense of community with other students. From fully furnished rooms to blazing fast internet, residence halls provide a place to smoothly transition from high school to college life. All your bills and are managed for you (and included in rent) so that you can focus on school. ...PLUS THE FEATURES OF A LUXURY DORM. Enjoy newer, nicer dorm buildings that feel more like home: oversized windows, inviting living rooms where you can meet other students, and luxury café kitchens. Choose from Single, Double, and Triple dorm rooms that are up to 60% larger than traditional University of Florida dorm rooms—easing roommate relations and giving you more room to relax, hang out, and study. From elevators, to wood floors, to jetted Jacuzzi tubs: the features in the luxury dorms at Windsor Hall and Ivy House will amaze you. Live with a friend or utilize the expert roommate matching, which pairs you with a roommate based on your sleep habits, study habits, lifestyle, and more. No random roommates. Ever. The luxury dorm buildings are newer that traditional residence halls and offer amenities like jetted jacuzzi tubs, large sparkling pool to meet other students, elevators, assigned parking, and more. Whether you choose a private single room, a double dorm room, or a triple suite-- a bigger room means better roommate relations and more space for all your Gator gear. In Double & Triple Suites, you can bring a friend or use free professional roommate matching. No random roommates. Ever. The social environment of a dorm where you're living with other University of Florida students-- but more privacy when you need it. Freshmen & upperclassmen can choose a single, double, or triple suitse with a private bathroom inside the room. At the Luxury Residence Halls, you know the exact availability when you reserve a space- so you'll be GUARANTEED your room size when you sign up. If you have a specific roommate request, that will also be guaranteed! University of Florida students looking for the best dorm should strongly consider Windsor Hall instead of a traditional University of Florida housing and residence halls (such as Broward Hall, Beaty, Hume Hall, etc). Windsor offers the true dorm experience, steps from class, with private bathrooms, the largest rooms, newer construction, and an upscale setting where you can meet other students. 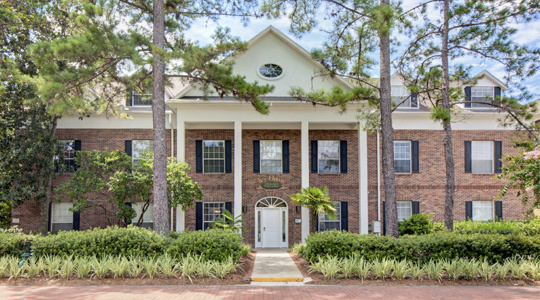 The Ivy House is the only all-female dorm for University of Florida Students. It's an obvious choice for students planning on rushing, since its the closest residence hall to University of Florida Sorority Row. The Ivy House offers the option of attached or shared bathrooms, with most rooms sharing a bathroom with neighboring rooms. Single, Double, and Triple dorm rooms are offered. Newer and Nicer than tradition college dorms. Roommate Matching Professional Roommate Matching Professional Roommate Matching No, Only Random Roommates.